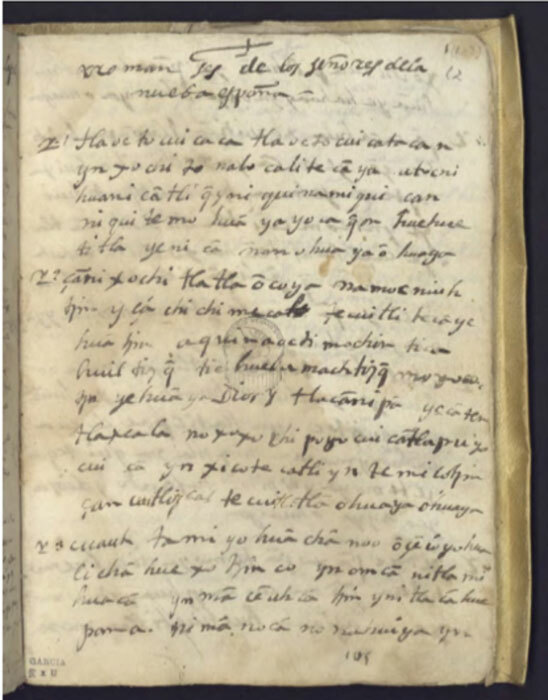 The Nahuatl-language songs collected in the Cantares Mexicanos and the Romances de los Señores de la Nueva España are fascinating and complex compositions. They deal with life and death, pleasure and pain, joy and sadness. While we might think of these pairs as opposites, in Nahuatl poems, it can be difficult to tell where one ends and the other begins. Poems that describe tears and crying are good examples of this: while weeping often accompanies expressions of grief and sadness, it can also, and even at the same time, fulfil other functions, like recalling the past and giving the singer a reason to sing. “All good things must come to an end,” and those left behind are moved to tears not only by the knowledge of this fact, but also when they contemplate their losses. 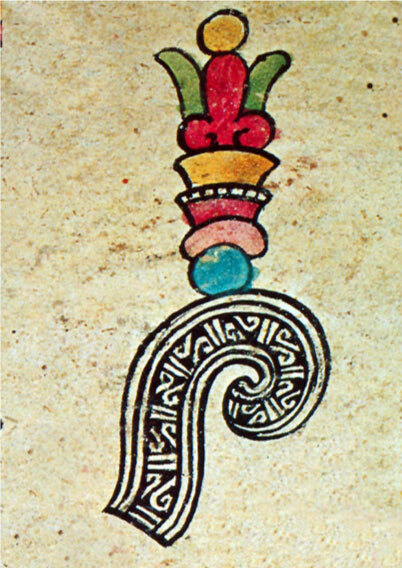 An example of this appears in the very first piece in the Cantares Mexicanos manuscript, which describes the quest of the singer for flowers and songs. 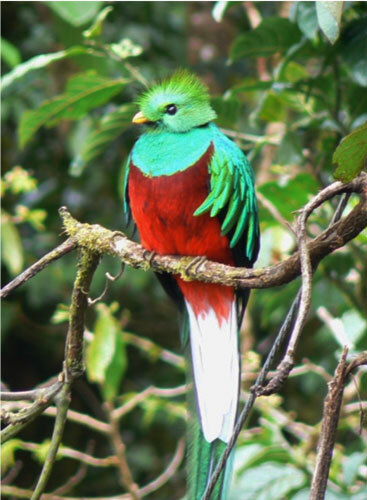 The poetic voice is successful, reaching Xochitlalpan (“a land of flowers”) thanks to an obliging quetzal. But despite successfully reaching the “land of flowers,” the poetic voice soon turns to weeping: “And so my heart is weeping [chocan noyollo]. I, the singer, recall [noconilnamiquia] how I went to look around in flower land” (trans. Bierhorst, Cantares Mexicanos 137). Why this sadness? Essentially, the poetic voice recognizes the difficulty that others would have in making this journey to Xochitlalpan. The recollection of a past delight, for this reason, moves the poetic voice to tears. In addition to remembering past happiness, poems often recall past nobles. One song that appears in both collections, the Cantares Mexicanos and the Romances de los Señores de la Nueva España, talks about weeping for the departed princes Tezozomoc and Cuacuahtzin: “Your fame will never be destroyed, O prince, O Tezozomoc. This would seem to be your song. And so I’m weeping [nihualchoca], suffering. Where have you gone?” (trans. Bierhorst, Ballads of the Lords of New Spain 145). The motif of mournful weeping in Nahuatl poetry relates more broadly to the importance of honouring the dead. Book 10 of the Florentine Codex points out, for instance, that “The good one of noble lineage [is] a mourner for the dead, a doer of penances, a gracious speaker; devout, godly, desirable, wanted, memorable” (Book 10 : 22). Many songs in the Cantares and the Romances demonstrate this reverence for the dead. Let drums appear, you princes! Be pleasured [xonahahuiacã] in the presence of Life Giver. 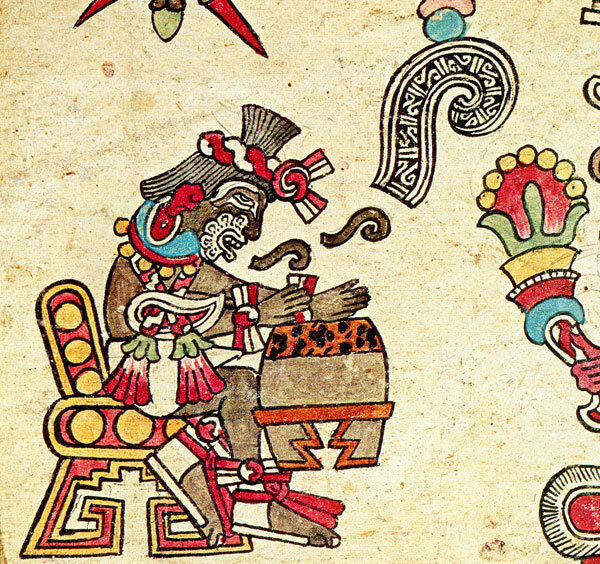 Cries [choquiztli] are flowing, tears [yxayotl] fall in a raining mist beside the drum and in the presence of Life Giver. In this passage, Montezuma fulfils his kingly role by arranging matters of war. The feeling conveyed by these lines, expressed most clearly in references to both pleasure and tears, reflect the conjunction of glory and misery described in the Florentine Codex. Another important aspect of the Cantares and the Romances is the influence of Christianity. While the songs in these collections draw on an older, pre-Hispanic tradition, they also reflect the colonial world in which they were compiled and transcribed (and in some cases, composed and performed for particular occasions), and an important feature of that world was Christianity. One of the more overtly Christianized songs in the collection is for the feast of San Francisco. In this piece, the singers recall the death of the saint: “O Mexican children, let’s sigh-sing. Today, our father, San Francisco, ascended to heaven. Let’s chirp our tears [tonchoquizcuicuiycaca] for his sake. Let’s be pleasured in this flower place, this home place” (trans. Bierhorst, Cantares Mexicanos 291). The portrayal of weeping in this song is very similar to what we have seen in other compositions: crying and tears are closely associated with pleasure [tonahahuiaca], and pleasure is associated with a flowery place [xochitecpã]. 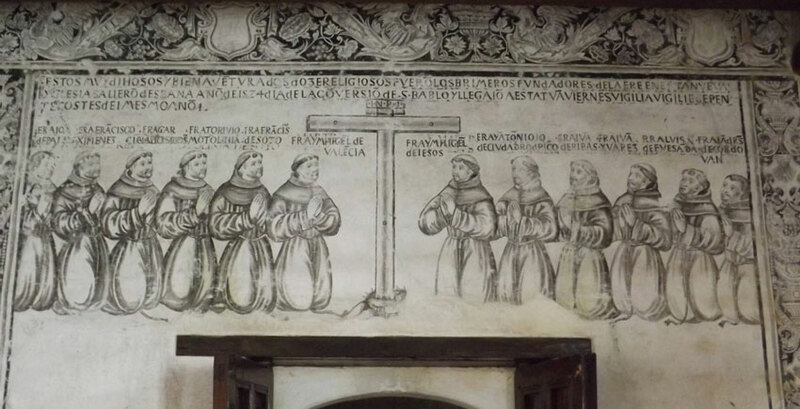 At the same time, the influence of Christianity—in particular, the Franciscan missionaries who began to arrive in Mexico soon after the military defeat of the Mexica by Cortés in 1521—is evident in the dedication of the singers to Saint Francis. It is clear from the examples above that the frequent portrayals of tears and weeping in Nahuatl poetry could relate to a number of significant themes: the duality of pleasure and pain, the importance of honouring the dead, the nature of warfare, and the influence of Christianity. It is also important to think about the close relationship between weeping and singing in terms of generating noise. Indeed, the word choca could have a number of meanings, including “cry” and “weep,” but also “howl,” “roar,” and “bark” (Read 61). The same goes for cuica, which refers to the sounds made by both singers and birds (Karttunen 71). 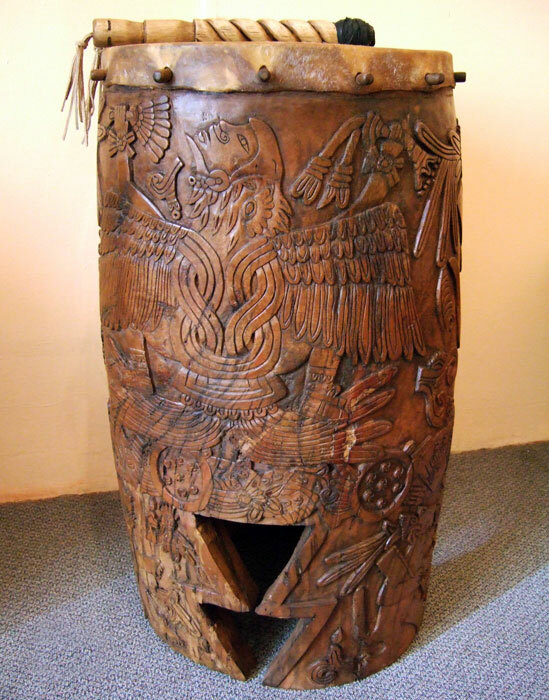 The importance of sounds in Nahuatl poetry may not be clear when we read the words on the page, but we can imagine that the resonance between singing, chirping, weeping, and howling would have been much more evident when the songs were performed orally, accompanied by drums (the huehuetl and teponaztli) and dancing. It could have physically reflected the linguistic parallel evident in lines like these: “Let me weep, let me sing [ma ya nixoca y ma ya nicuica]. In the corner, against the wall I sustain myself, O God” (trans. Bierhorst, Ballads of the Lords of New Spain 153). • (Do.) Florentine Codex/General History of the Things of New Spain Book 10: The People. Translated by Charles E. Dibble and Arthur J.O. Anderson, The School of American Research and the University of Utah, 1961. • Pic 8: original illustration drawn by J. L. Quiroz - first reproduced in Ignacio Marquina’s classic study Arquitectura Prehispánica (INAH/SEP, Mexico City, 1951, p. 215. Q. Which forthright and expressive English phrase did we inherit from Aztec warrior-poets?